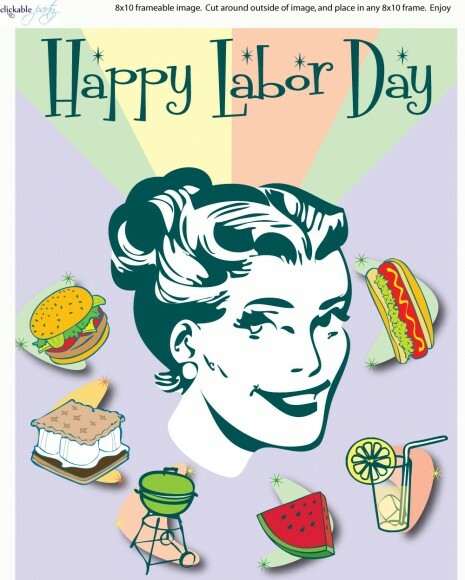 The first Labor Day took place in NYC in 1882. Now, no matter where you are, you can take a load off and enjoy the official day dedicated to the American worker…not working! Make this year’s day of rest fun for yourself, friends and the whole family by trying some of these easy decoration, food, and activity ideas. It only takes a little bit of flare to make a big statement. This Labor Day, invite your friends over and try one of these 15 dinner table decorating styles. Depending on what you do, you can set the mood for a whimsical, sophisticated, kid-friendly or wacky evening. All you’ll need to do is pick a color palette. Then, choose a table cloth or chargers and place mats and decide on some coordinating dishware and floral arrangements to put it over the top. Whether you go with a preplanned design or your gut, we’re sure you’ll be happy with the results. This side dish of corn on the cob is so versatile and every rub can be made ahead of time, so you’ll be free to sit back and relax on Labor Day! Just pick your favorite flavor combo (or a few), mix them up and set them out on the dinner table for guests to apply themselves. 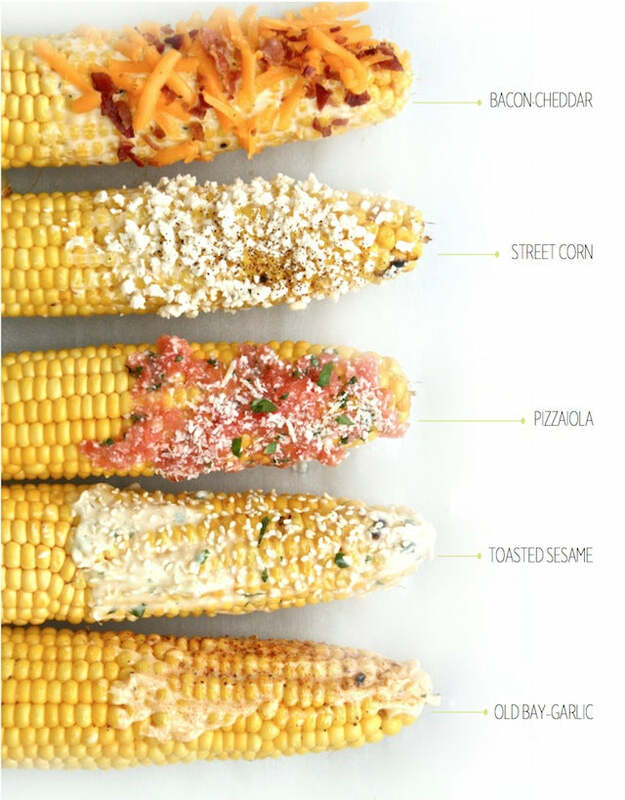 You can even grill the corn in its husk and then simply slip the cob out once it’s done. Now talk about an easy side dish that won’t make you lift a finger. 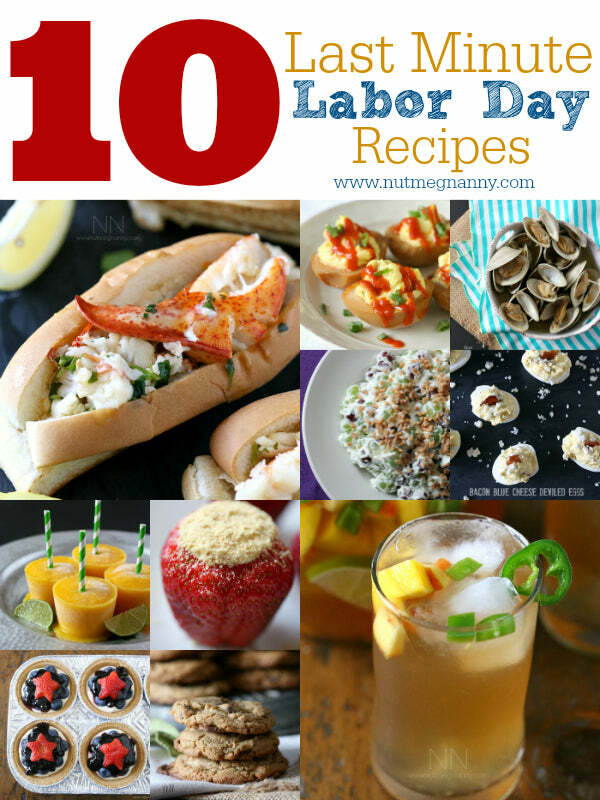 For those who want to add some pop without breaking a sweat, you’re going to love these Labor Day printables. In iconic styles that mimic “Rosie the Riveter,” you can simply print these out, cut around the edges and tape them onto toothpicks to use as cute serving utensils or even placeholders. Use your imagination, but don’t work too hard. It’s Labor Day after all. Labor Day has a funny way of sneaking up on you. It comes after final summer vacations, while you’re getting ready for kids to back to school and right as busy schedules are resuming. If you feel a little unprepared for this year’s picnic or party, let these last minute drink, side and main dish recipes help you save the day. They’re simple yet delicious and will keep your mouth watering through the whole day. Since Labor Day is a celebration of the American worker, using some red, white and blue from the 4th will save you both time and energy—and add a thematic touch! If you have table cloths, wreaths or any other patriotic flare laying around, break it out once more this summer. 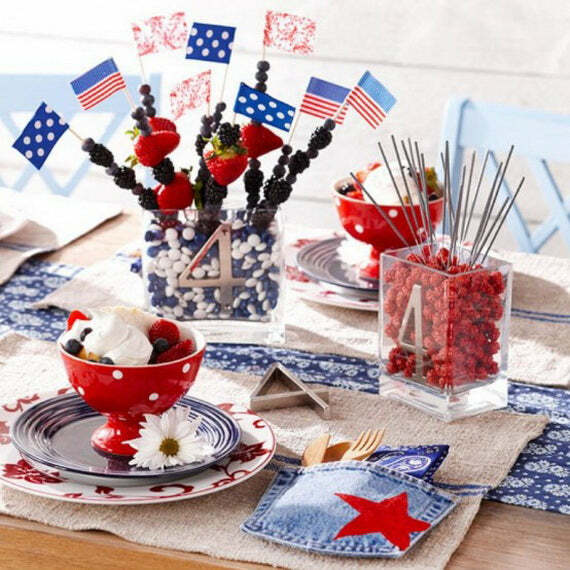 Otherwise, check out some of the fun decoration ideas below to add some U.S.A. themed fun to add to your Labor Day party. Take one more step out of what is supposed to be a relaxing day with oven-less dessert recipes. 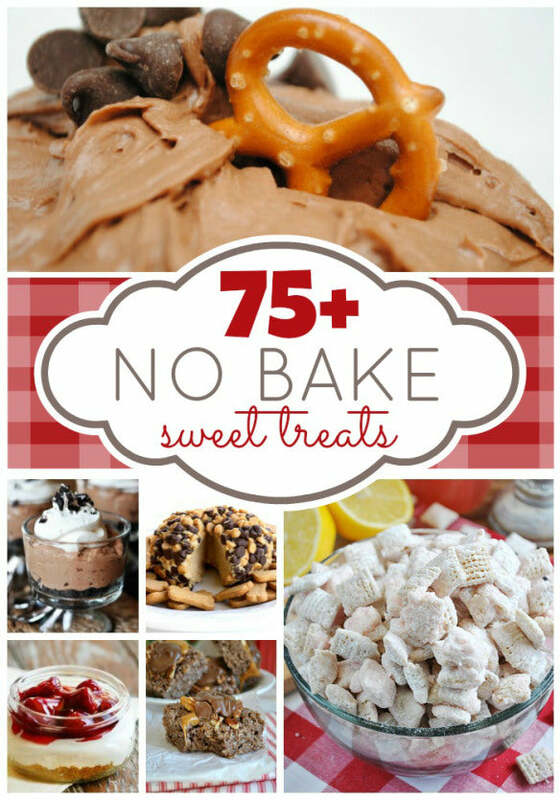 From puppy chow to chocolate covered pretzels, you won’t have to watch the timer or worry about overcooking anything. Your desserts will be good to go in just a few steps. You can even lessen the load even more by assigning some of these simple desserts to your friends and family who are planning on coming over to celebrate. Instead of BYOB, encourage your guests to BYOP: bring your own pillow. Gather your softest beach blankets and pillows and sprinkle them across your lawn. 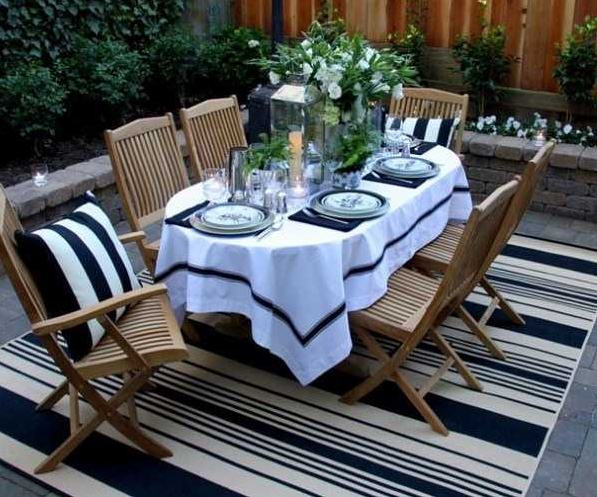 You can set up more intimate groupings or create a design you think will work best with the crowd that’s coming over. If people bring their own, you won’t have to worry about running out of seating and it’ll be a novel party idea they won’t forget. 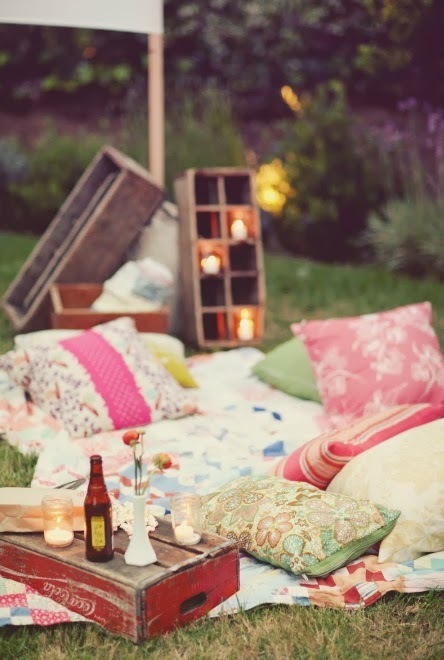 Plus, who doesn’t love laying back and enjoying great food, company and the outdoors on a lovely day? Unless you’re in the mood for a competitive whiffle ball game or kickball showdown, you can add some activities to your Labor Day without tiring yourself out. The only work you’ll put in is if you get down to business creating some of these awesome DIY games. However, depending on your skills and imagination, they can be simplified to make the process even easier. 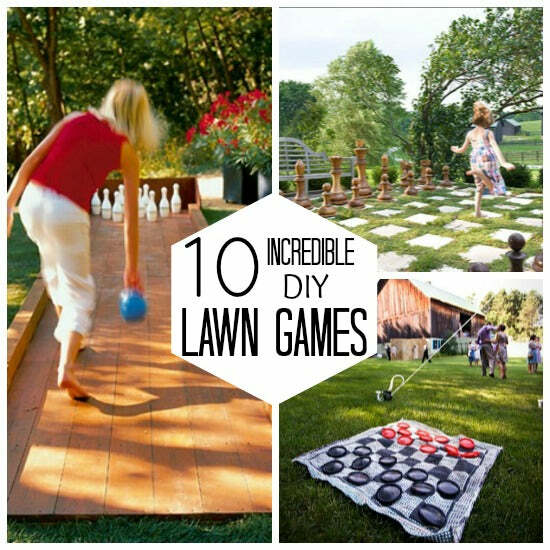 Whether you love back yard bowling, life-size chess or working your brain in a larger than life Scrabble game, you can make all of these games into back yard sensations.